Comments Off on Dwayne Johnson and Tom Hanks running mates in 2020? 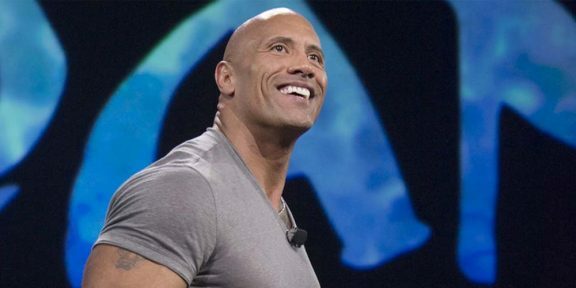 Dwayne “The Rock” Johnson announced on Saturday Night Live that he’s running for President in 2020…with running mate and Hollywood A-lister Tom Hanks. Obviously, this was all a joke as Johnson was hosting the season finale of SNL. “Now, in the past I would have never considered running for president. I mean I didn’t think I was qualified at all. But now I’m actually worried I’m too qualified,” Johnson said in his opening monologue. Tom Hanks saying he’d get the senior votes and Johnson would get the minority vote. Hanks added that if America goes the war, he’d be the best to lead it since he went to 10 or so wars in different movies while Johnson said that if the state of California is ever in trouble because of an earthquake, he’s the best man to save it. In an interview with GQ Magazine, The Rock said that running for President in 2020 is a real possibility.